After running every.single.day for a year, the stakes get higher for this middle-of-the-pack runner as she competes in multiple road and trail races, joins a cross country team, and attempts to complete her first ultra marathon. When Julie van Amerongen set out to run every day for 30 days, she was looking for consistency and discipline in her life. With each day under her belt, she found her confidence, shoe size, and love of actual running itself growing too. 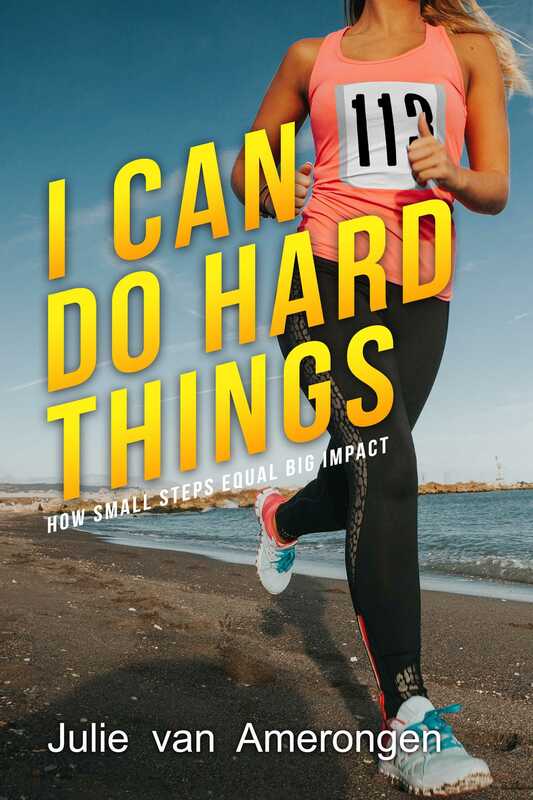 After completing her first 365 days of running every.single.day, she sets her sights on harder things—from the predict mile (where even the slowest runner can win the race! ), running a series of 5ks in the park, joining a cross country team, 10ks and half marathons, to discovering her true love of trail running and finally training for and attempting her first ultra marathon! In addition to the race stories, van Amerongen shares her day-by-day ultra marathon training log along with real life lessons of what happens when you run covered in literal blood, sweat and tears… and ice and snow and rain and mud and heat and kids and dogs and work and all the other things anyone with no special talent or extra time or energy might encounter on their road to greatness! A fun and funny, relatable and inspirational read for anyone who is a runner and motivational for anyone who aspires to push boundaries of any kind into new territory, van Amerongen’s stories of life on the road and the trail will assure you that if she can do hard things, then you can absolutely achieve your own vision of badassery too! "... I definitely liked this book and would recommend it to those who are wanting to learn about bing a Portland Runner, or who are considering their first ultra-race and would like to read a normal person's experience."